Original title ??? published in the album number 3?. Original title ??? published in the album number 3. Original title Al Final Del Rio published in the album number 4. 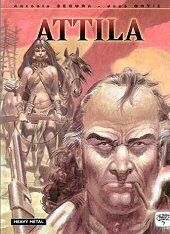 Original title Atila published in the album number 5. Original title Un Hombre Solo published in the album number 7. Original title El Lider published in the album number 6. Original title El Rey De Los Perros published in the album number 6. Original title Rabioso published in the album number 7. Original title Los Hijos De La Araña published in the album number 7. Original title Las Golondrinas, Los Buitres Y El Puente published in the album number 7.